Dragon Age: Inquisition developers playing through "Holiday Build"
While some of us are anxiously awaiting the holiday break so we can catch up on sleep (nope), see family (nah), and play through a disgusting amount of video games (bingo), the dedicated team at BioWare will also use that time to continue working on Dragon Age: Inquisition, playing through its latest build. Executive Producer of the Dragon Age franchise Mark Darrah explains on the company's blog that BioWare has always used the break to allow its teams to play through what they term the "Holiday Build." Basically, as complete of a build of the game as possible. 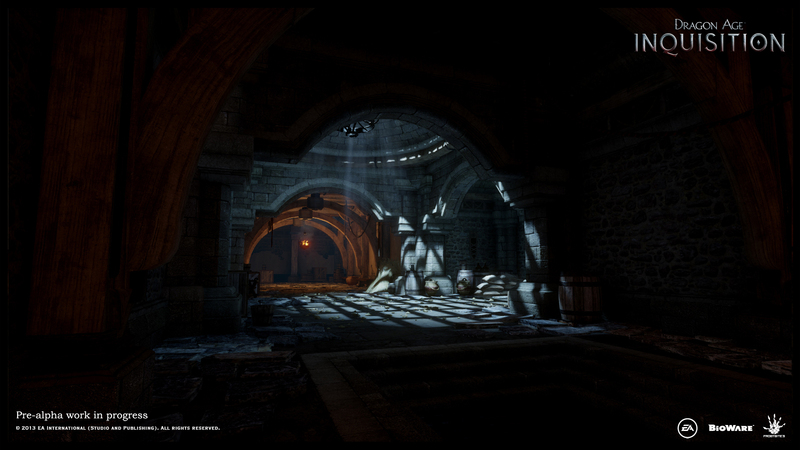 What he says is included in this year's Dragon Age: Inquisition Holiday Build shows how far along the game has come. It will allow developers to play through the main storyline, with all the gameplay systems working together, making sure that each class has a distinctive feel and that the party is a necessary and exciting part of combat. Darrah also said that BioWare is starting to add music and recording voice over for large parts of the game. 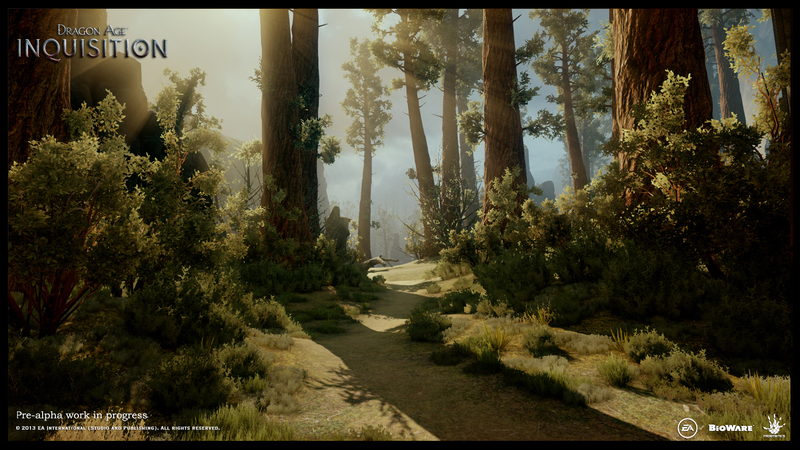 Dragon Age: Inquisition looked quite beautiful when we last saw gameplay footage of it, and the latest batch of screenshots in Darrah's post are no different, showing off forest scenes and dungeons rendered in the Frostbite 3 engine. If you're interested in the development process, particularly interesting is a series of of images that show an initial screenshot, which is then critiqued and drawn on to show the level artist how to improve it. 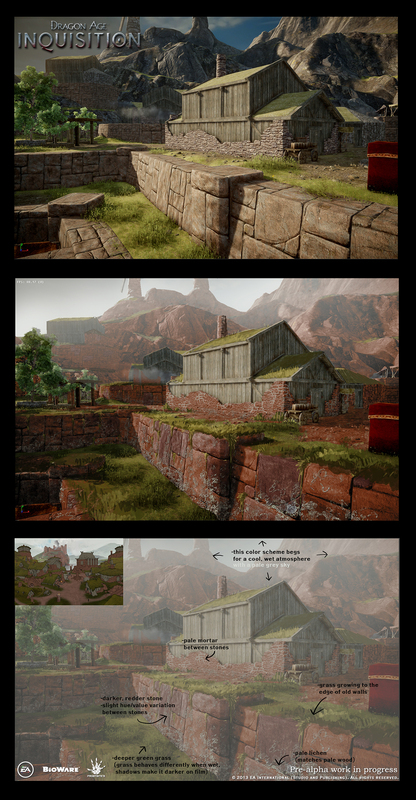 It sounds like the Dragon Age: Inquistion team will be posting more of this kind of stuff as they get nearer to launch. You can keep up with their progress here .